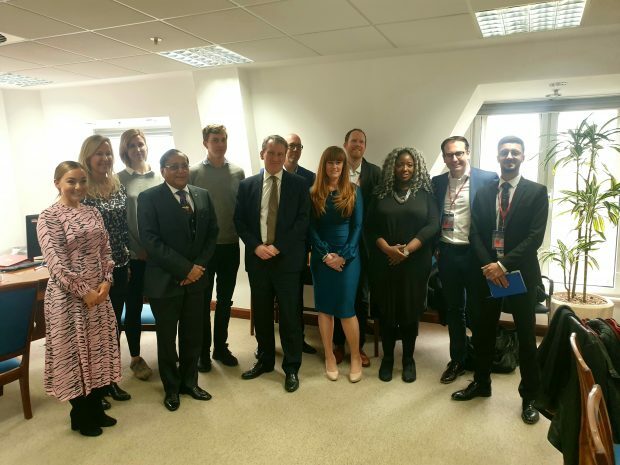 Today, the Education Secretary Damian Hinds held a roundtable with some of Britain’s leading entrepreneurs to discuss how to inspire more young people to follow their paths into the business world. We can all look back at our time in school and remember people that may have not done that well at exams but have gone on to do something amazing – such as start a business and create jobs for others. Those people have the confidence to take a chance on an idea, the drive to keep going and the resilience to bounce back if something goes wrong. I want young people to develop these character traits and leave formal education as happy, confident and well-rounded individuals. Character and resilience are the qualities and inner resources that we call on to get us through the frustrations and setbacks that are part and parcel of life. Today’s summit is all about finding out how we instill these traits in the young people who could be our business leaders of the future. Today, Thursday 4 April, the Office for Students (OfS) are publishing their report on the financial sustainability of universities in England. The report finds that the sector is in ‘reasonable’ financial health. This has been covered by the Telegraph, the Mail, the Guardian and the Times. The report also found that overall, the sector is expecting a 10% growth in student numbers from 2018 to 2019 and 2021 to 2022 in the next four years. Alongside the publication of this report, the OfS has written to the governing bodies of registered providers, asking them to consider the findings of the report, as they test and approve financial plans and risk management strategies. We established the Office for Students to regulate the Higher Education sector, assess its financial sustainability and to look out for students’ interests – so it is welcome that their conclusion is that overall the higher education sector remains in reasonable financial health, despite some reports suggesting otherwise. These findings are important because higher education institutions are helping to prepare the next generation for the future. To ensure students are protected – through the OfS – we have required universities to set up protection plans that will set out what students can expect to happen in the event of course, campus or department closure, or if an institution exits the market. We have given the office for students a range of powers to tackle any university that is not being run in a financially-responsible way. Today, the Guardian has run an article on the report by the Institute for Public Policy Research which looks at funding for children with special educational needs and disabilities (SEND). The report says that funding for SEND has been cut by 17% per pupil across England since 2015, and says that the North of the country has been worst affected. Local authorities in the North will receive £1.6 billion in high needs funding in 2019 to 2020 and we are providing £100 million of capital funding to create more SEND places in mainstream schools, colleges and special schools – this could include more facilities such as sensory rooms and specialist equipment. Our ambition for all children, whether or not they have special educational needs and disabilities, is to achieve well in education, go on to college or university, and to live happy and fulfilled lives. We have increased high needs funding for children and young people with the most complex SEND from £5 billion in 2013 to more than £6 billion this year. However, we recognise that local authorities have been facing cost pressures on high needs budgets, which is why, in December, we allocated an additional £250 million in high needs funding on top of increases we had already promised. £67.7 million of this funding has been allocated to local authorities in the North. We have also approved bids for 37 new special schools spread across the country which will give parents of SEND children more choice and will support every child to have a quality education. Today, we are announcing a £1.4 billion investment in buildings and facilities for schools in England over the coming financial year. This includes over £430 million from the Condition Improvement Fund, covering more than 1,400 projects announced today. The money also includes almost £800million for local authorities and larger multi-academy trusts to invest in improving and maintaining their schools. This funding is part of over £7.4 billion capital funding allocated since 2015. In addition, the priority school building programme is rebuilding or refurbishing facilities at over 500 schools across England. Schools are much more than just buildings; they are the centres of communities, they are where children learn skills for the rest of their lives, and they are safe havens. That’s why it’s vital they are in the best possible condition. So as well as providing the resources for all schools to maintain and renew their facilities, today’s funding will target those schools with some of the most urgent need - making sure children don’t have to spend time in buildings that aren’t fit for purpose.